The Lawyer Portal is working in official partnership with CILEx to promote and showcase chartered legal executive career opportunities. Keep reading to find out about the role of the organisation and the work it does! CILEx provides education, training and the development of skills for chartered legal executives, those undertaking law apprenticeships, chartered legal executive practitioners and other members of the Chartered Institute of Legal Executives, as well as those who wish to become more proficient and knowledgeable in the law. The Chartered Institute of Legal Executives has around 20,000 members who are either trainee or qualified chartered legal executive lawyers (7,500 are Fellows and so fully qualified lawyers). Over 92,500 people have chosen CILEx as their route to become a lawyer, and on average, 75% of our members are women, and around 13% of all our members are black or of an ethnic minority (compared to 7.9% for the UK population as a whole). For more than 50 years, they have been offering unparalleled access to a flexible career in law. 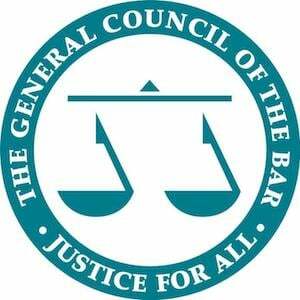 They work closely with Government and the Ministry of Justice and are recognised in England and Wales as one of the three core approved regulators of the legal profession alongside barristers and solicitors. Founded in 1892, the Institute of Legal Executives became a company limited by guarantee in 1963 with the support and co-operation of the Law Society. On 30 January 2012, they became incorporated by Royal Charter and are now known as the ‘Chartered Institute of Legal Executives’. In 2013, they celebrated 50 years of legal careers. Did you know: CILEx is on Instagram! CILEx – This is the membership body which is responsible for membership services, examinations and a plethora of other areas all centering around our CILEx members. CILEx Reg – CILEx Regulation is the independent body with the responsibility for governing the conduct of our members, making sure they are competent and assessing the applications submitted to enable individuals to become a qualified lawyer or set up their own law firm. CILEx Law School (CLS) – Is our distance learning provider, we have 70 study centres based around the country and CLS is tailored to those students who would like to study via distance learning. CILEx Headquarters –Is a hive of activity where their 3 separate institutes are based, just outside of London in Kempston, Bedfordshire in a beautiful 19th Century manor house with modern buildings to accommodate the necessary infrastructure to support 20,000 members. If you are interested in finding out more about studying law with The Chartered Institute of Legal Executives their contact centre membership advisors are dedicated to answering your questions and helping you on your journey with CILEx. Phone, email, Facebook, Linkedin, letter, or you can get in touch via Twitter #CILExHelp where you can ask any question and expect to receive a response within 3 hours during the working day. Each event will provide you with an inspiring insight into what a career in Law really means. You’ll hear from amazing guest speakers, legal education experts, top lawyers as well as current law students. For more on CILEx courses and how to get started, take a look at our dedicated page!